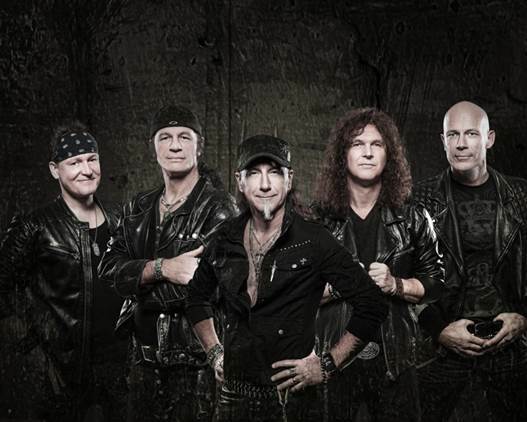 ACCEPT – More Details About BLIND RAGE Announced; New Release Date on August 15th. In the history of Heavy Metal not many bands can claim to be able to celebrate their breakthrough twice. ACCEPT managed this four years ago, as, with their reunion record Blood Of The Nations; returning with a vengeance! Now ACCEPT open the next chapter in their book of Heavy Metal, with the upcoming studio record Blind Rage, which due to scheduling conflicts will now be out on August 15th in Europe, August 18th in the UK and France and August 19th in the US. There will also be a limited edition Digipak including either bonus DVD, or Blue-ray disc. It features a complete ACCEPT live show, recorded in Chile 2013 during the Stalingrad tour. Upfront will be the single release of the opening track ‘Stampede’, which will be out on TBA, digitally and on a limited vinyl edition. The band also did a video clip for ‘Stampede’, which will be ready by the end of June. »Blind Rage« was produced by Andy Sneap (MEGADETH, EXODUS, FIVE FINGER DEATH PUNCH). The cover artwork was done by Daniel Goldsworthy (HELL).